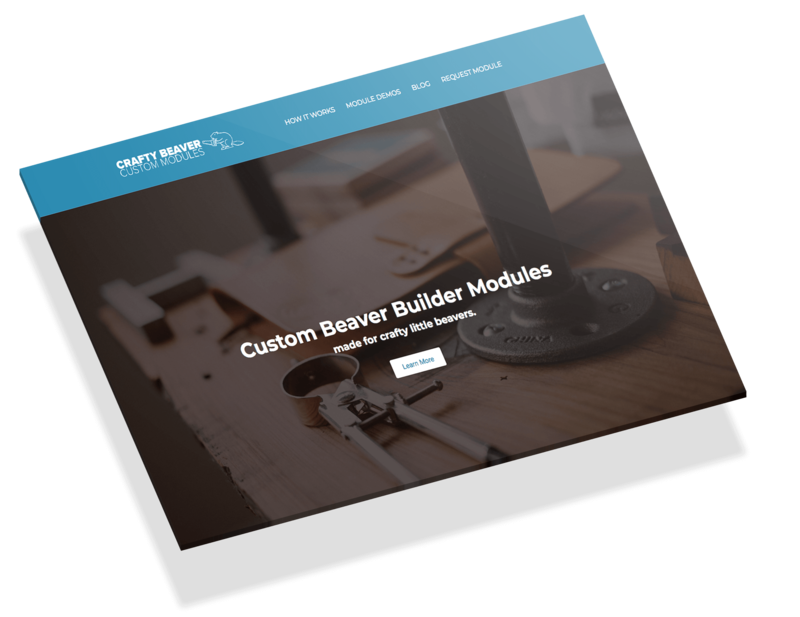 Recently I’ve been using the Beaver Builder WordPress plugin for websites that need to be turned over to clients. I love Beaver Builder because you can make just about anything, even using the default modules. Currently, the plugin has a number of modules, and they’re very opinionated. They’re meant to offer a simple interface for setting up some cool, photo-centric features and they use some modern browser features (CSS animations and Flexbox, for example). Oh and I’ll be using this plugin as a place to store any new modules I need to create for future clients, so feel free to subscribe below so I can keep you up-to-date with future modules and improvements. CB Custom Modules is available under the same GPL as WordPress, so feel free to use and adapt it as you see fit. If you have any ideas for improvements, feel free to contact me or submit a pull request on the Github repository. These modules are beautifully done. Thanks so much for making them available. Thanks so much for this! Good quality. Looks like one of the Beaver Builder devs on the Facebook group thread liked them too. Ha thanks Craig. The BB devs seem like great guys. They’ve done a great job on this plugin and setting it up to be the base of a strong ecosystem. And yes, I hope to keep adding modules to it regularly. Brian, thank you for making this available. And they’re stunning. Thanks! If you use them on a site, feel free to share!